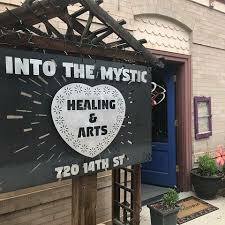 Welcome to Into The Mystic Healing & Arts!! We are planted in the heart of the lovely, historic downtown Golden, Colorado. Located in a BEAUTIFUL, Victorian-style house that was built in 1905. This space was meant to be a healing house. We offer a variety of healing through several different practitioners who all perform different types of work, as well as classes and events. We are all extremely passionate about loving and caring for your body, and let’s not forget the mind and soul. 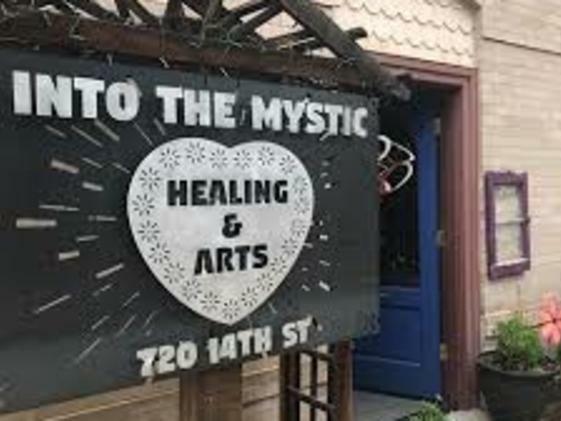 The goal for Into The Mystic Healing & Arts is to help promote the importance of self-care and awareness all while being in a positive and peaceful setting. Please stop in to see our metaphysical store! We have some great items from local vendors, such as, jewelry, shirts, pendulums and natural body care products. We also have tarot cards, books, healing stones and more!! Our Fresh, Organic Juice Bar is now open!! Stop in and check us out!! Get your healing on!! !